I was pregnant, single and alone. I gave birth in a foreign country, and never saw my baby. I had no emotional support. I was married, and was finally pregnant. I gave birth, away from my extended family, but with a supportive husband. We had no emotional support. It is these contrasting, yet similar experiences which have motivated me to become passionate about improving the outcomes for babies and their parents. After the birth of our second child, my friends and I co-founded Postpartum Education for Parents (PEP). It was conceived from our own needs as struggling young parents, removed from our families, and inundated with professional advice. What we lacked was a supportive environment where we could share our highs and lows each week, and not be judged or criticized when we admitted to being overwhelmed, scared, or inadequate. It was about making friends, learning about community resources, and gaining confidence as new parents. We launched the first ever warmline, staffed entirely by trained parent volunteers, 24 hours per day, 7 days per week. It has been available since July 1, 1977. I took the first shift that day and received the first call. I was an ordinary mother actively listening to the needs of another ordinary parent. We offered free emotional support to other new families. PEP became our local community’s way to help ease the adjustment of developing families. We know that communities are human systems where we live, work, learn, pray, and play together. We tend to gather together based on our cultural values and with a common purpose. It is during pregnancy that the first shift in emotional needs occurs. The arrival of the newborn does interrupt a new parent’s existing community, as well as a good night’s sleep. Social connections, our networks, exist within each community, yet how do expectant and new families find or create them? In general, our networks help us find employment, friendship, and provide emotional support and comfort. We may relish these natural human interactions, take them for granted, or in some cases, ignore them. Then, the new baby arrives. The need for community support takes on a different meaning. I want to emphasize the importance of community based social support. Researchers have found that we are healthier and happier when surrounded by supportive peers, family, and friends. It is with a social support network that we feel a sense of belonging and more secure. As new parents increase their self-worth by not being isolated and struggling alone, the baby will feel this as well. Connections between people are also called social capital. We invest in material goods (physical capital), and value education (human capital). It is critical that our social networks for new families are consciously created. Academic scholars have shown that our psychological well-being benefits by having a network of supportive relationships. Even if a new family has relatives living nearby when a baby arrives, making friends with others experiencing the same life event is vital. All new parents will experience a wide range of physical and emotional challenges. The transition from being single, becoming a couple, and then a family cannot happen without many changes. PEP refers to these as “special circumstances”. This list consists of every possible “less than easy or wonderful” situation. For example, had I given birth after PEP was established I would have called the Warmline for emotional support after our son was born. I would been connected with a volunteer who had had difficulty breastfeeding, who had also supplemented with formula. I would have been encouraged to join a new parent discussion group where I would have shared how inadequate I felt as a mother. My peers would also be new parents and eventually I would have felt secure enough to share that I’d placed my first baby for adoption. My personal journey through parenthood would have been smoother had I had professional support as well as good friends. Unfortunately, my depression went undiagnosed far too long. It is ironic that although I had become involved with world leaders in the field of maternal mental health, it took decades to overcome my own denial. There are many therapists, doctors, and educators who want to work with expectant and new families. Their role as professionals in pregnancy and postpartum social support networks is to serve as advisors to trained peer volunteers. A paid childbirth or lactation assistant is not the same as someone who has “been there” and offers empathetic comfort. A support group that is led by a professional is important to deal with stress and illness but it does not substitute for peer to peer support. In all circumstances, however, they are definitely essential parts of community support. When a PEP volunteer hears from a Warmline caller about a situation beyond the listeners’ capacity, the caller is referred to his or her own doctor, other professionals, and/or organizations listed in the PEP Community Resource Guide. Families need and deserve supportive communities to bond with their peers as well as reach out to professional services. Over the decades, studies consistently show that for good health and emotional well-being we need each other. We know that social interactions are needed for optimum physical and mental health. The baby and the parents will build lasting friendships, strong personal relationships, and social ties in a community that offers this opportunity. How supportive is your community for new parents? Don’t wait for someone else to initiate what might work. Start asking your friends, peers, family members and work colleagues if they’d like to explore the possibility of a social support network in your community. You can replicate PEP in your community. It won’t look exactly like PEP. That is impossible since each community is unique. It all starts with a few friends who understand the importance of building a social support network. Your efforts will be rewarded by meeting the needs of your own new families. 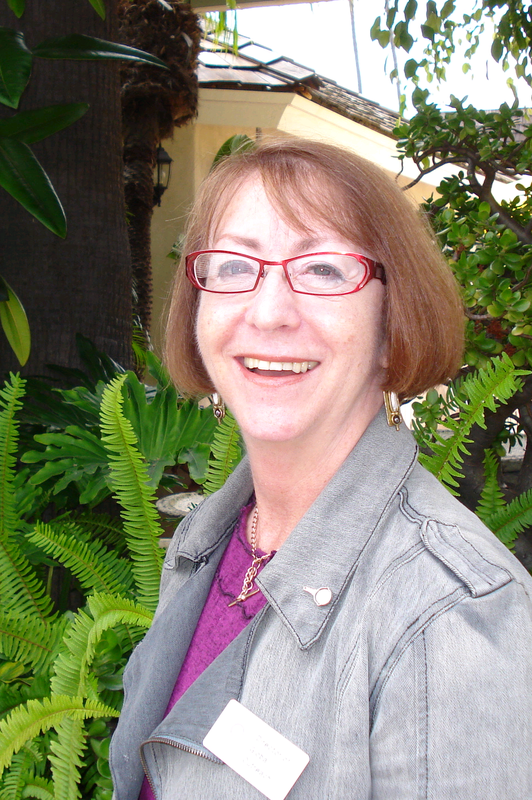 Jane Honikman, M.S., is a Postpartum Parent Support Consultant from Santa Barbara, California. In 1977, she co-founded Postpartum Education for Parents (PEP). 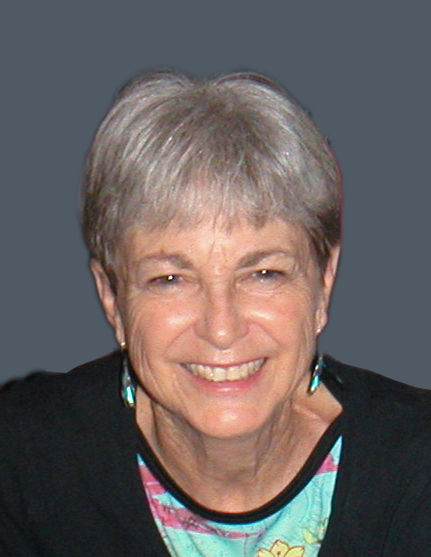 She founded Postpartum Support International (PSI) in 1987. 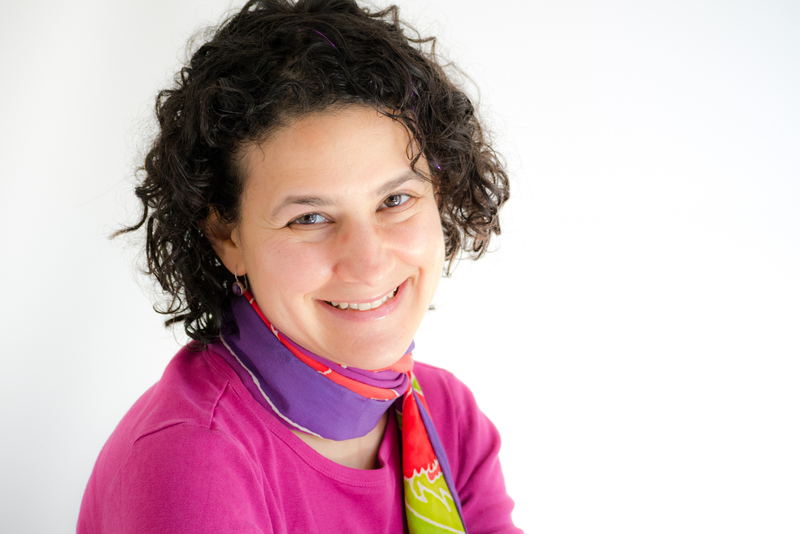 She lectures internationally on the role of social support and the emotional health of families. Her book, Community Support for New Families: A Guide to Organizing a Postpartum Parent Support Network in Your Community, is available from Praeclarus Press. Recently, some of my colleagues in private practice were discussing the topic of IBCLC® mentoring. I’ve only been an IBCLC for four years, but I receive many phone calls per year from women looking for a mentor. Some of my colleagues mentioned the uneasy sensation that they are training their own competition. I want to add a different perspective. In June, the two-day Inequity in Breastfeeding Support Summit in Seattle was the site of passionate discussion about barriers to breastfeeding support, for and by women of color. Women of color in the US have a lower rate of initiation and duration of breastfeeding, and women and their babies suffer higher rates of morbidity and mortality that could be mitigated by breastfeeding. There are also few IBCLCs and other breastfeeding support people who are women of color. In the Greater Puget Sound Area, there are very few (possibly zero!) private practice lactation consultants who are also black, Latina, Asian, or Native American. I know of one Seattle-area Native American woman who just sat the exam and I can’t wait to hear her results! There are a few IBCLCs who are women of color who work for WIC or for hospitals. Why is that? There are many, many, MANY obstacles. One obstacle cited was the barriers to entry – the bar keeps getting raised and it’s terribly expensive. Here in Washington State, for a variety of reasons, we have few to no La Leche League (LLL) Leaders who are also women of color. Since Leadership used to be the traditional route to becoming an IBCLC, lack of Leaders who are women of color is also a challenge. LLL of WA has been actively working to address this. Conversely, what we learned from the women of color in attendance at the Summit, is that while the breastfeeding rates, especially in the African American community are very low, there are no visible black breastfeeding role models (calling Michelle Obama, we want your photos!!) Very often, women of color would feel more comfortable working with a breastfeeding helper who had similar life experiences. IBCLCs are typically compassionate, wise, lovely women – and yet, at least here in WA State, we have not walked in the shoes of the African American experience. I have come to understand and honor the desire of women to want to work with someone who not only has experience and training, is compassionate, wise and lovely, but also shares life experience and understanding. Incidentally, that’s why the following video is so important. I’m thrilled that when I first saw it, it had less than 10,000 hits and now it has more than 300,000! One agenda item strongly suggested at the close of the Summit was for IBCLCs to seek out and mentor women of color as IBCLCs. And, if at all possible, NOT charge for it if the woman in training is low income. I don’t depend on my IBCLC income to run my household. I can afford to take on a free mentee. I don’t feel like I’d be training my competition. Right now, my clientele are mainly white, Asian, and Southeast Asian. I see the occasional Latina and very, very rarely an African American mother. If I could mentor an IBCLC-in-training who was also a woman of color, I feel like I’d be training valuable colleagues who could support women in my community who desperately need the services but are not seeking me specifically. I publicly committed at the Summit and here commit again: when I achieve my 5-year status and go through the process of becoming a mentor, I commit to actively seeking out a woman of color in my community who wishes to become a breastfeeding counselor and mentoring her through the process of becoming an IBCLC. I know I will learn much in the process and become a better helper to all mothers as a result. 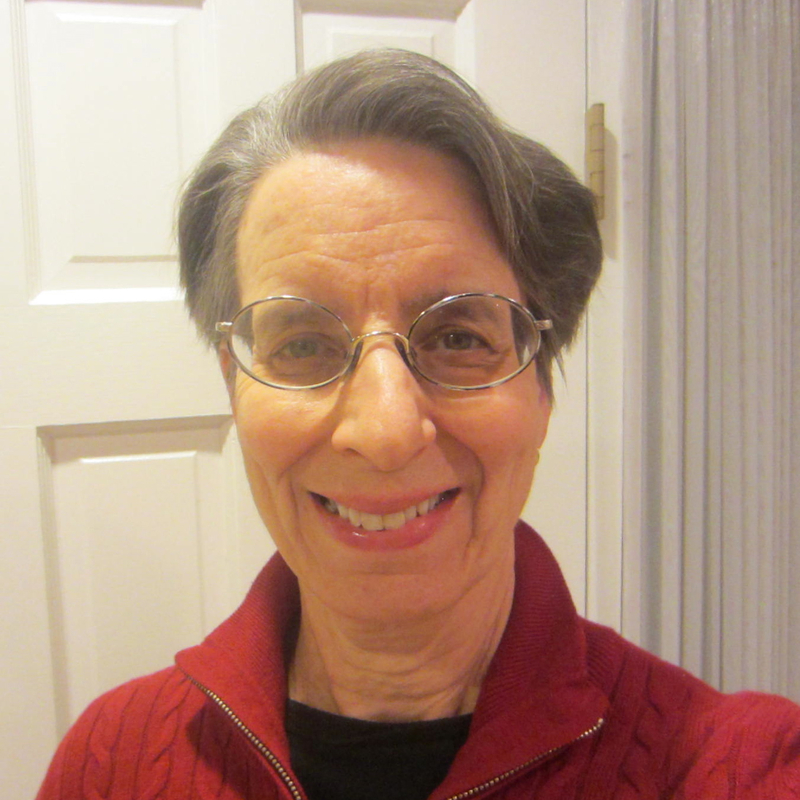 Betsy Hoffmeister, MPA, IBCLC, has been a LLL Leader since 2002 and a private practice IBCLC since 2009. She lives in Seattle with her husband, who makes chocolate from beans, (but sadly, without sugar), her son who just became a Bar Mitzvah and her 8 year old daughter. In her spare time, Betsy reads, gardens, and is experimenting with knit and crochet breast patterns. She only recently got turned onto anti-racism and equity in breastfeeding support and is excited and passionate about helping the movement. Contact her atbetsy@betsysbabyservices.com. I can’t recall ever seeing women breastfeed their babies when I was growing up. To be honest, there weren’t many babies around me at all when I was a child. I was the youngest in my family, and my sister is four and a half years older. I always knew that if I had children, I wanted to breastfeed, but I never really gave much thought to all it would entail before I was pregnant. Once I learned I was pregnant with my older son in May 2006, I began to research everything from natural childbirth to breastfeeding. I rarely make a decision without doing research and weighing my options. For me, birth and breastfeeding were no different. Based on what I had read, I decided to write a birth plan, take childbirth classes, and hire a doula to assist me in giving birth. Looking back, I realize that my birth choices were almost completely motivated by my desire to successfully breastfeed. When it was time for my son to make his arrival, everything went as planned: no epidural, short pushing stage, and only a first-degree tear. I really was lucky considering my hospital that had a 98% epidural rate. But we did have an unforeseen hiccough as soon as my son was born: he was taken to the NICU for two days because he had difficulty breathing immediately after birth, and was diagnosed with a pneumothorax. Thankfully, he recovered quickly and we both went home at the 48-hour mark. He was about 27 hours old when I first put him to my breast, and he took to it like a champ. Shortly after my son was born, our little family of three re-located from the East Coast to the West Coast. I found myself in a new place with no friends, a husband who was gone on deployment, a four month-old baby, and still many, many questions as a new mother. When my son was about six months old, I turned to the Internet for breastfeeding support. Looking back, it was a watershed moment for me. I had no idea that so much of my time would include helping breastfeeding mothers through the Internet, and using technology to help mothers feel confident, the way my sister helped me as I sat in the NICU with my new baby. But that is exactly what happened. I turned to the La Leche League International mother-to-mother forums. Before I knew it, I was asking for–and offering–advice to other breastfeeding mothers. Then something unexpected happened: I was making friends in a way that I never had before—online. My second son was born in the summer of 2009. My early breastfeeding experience with him was very different. His birth was wonderful as well. He was placed directly on my chest, and latched on and began breastfeeding within about ten minutes after birth. I quickly realized that breastfeeding counseling and education was a professional avenue I wanted to pursue. The fact that it all happened online was serendipitous. I had two young children and a husband who was deployed often. I went online and began connecting with other breastfeeding mothers, to offer support, encouragement, and advice. The Internet offers support in a unique way. You can take what you want and leave the rest. You can find mothers online at 2 a.m. when another late-night feeding that has left you feeling ragged. It’s a global community; your midnight is someone else’s 10 a.m. You might find like-minded women who share many of the same values, who live in a different town, state, or country−but your similarities are enough that you form friendships and keep coming back for more support. Even if you don’t have access to local support groups at hospitals, or there are no breastfeeding mothers who meet regularly in your area, you don’t have to be alone. You can find your tribe online. The collective group of online mothers offering nursing support is very giving. Someone will hop in on a moment’s notice to help. Access is instant, and in our increasingly technologically driven world, this is appealing to many mothers. Sometimes the support becomes real and tangible: a card for Christmas, a birthday present, a sympathy gift for a lost relative, etc. Either way, the friendships are genuine and the support is invaluable. Online support helped me to continue breastfeeding, and on some days my friend from the forum saved my sanity! Mothers have been using the Internet to help one another since the 1990s, but those born after 1982, which we refer to as the Millen­nial Generation, grew up alongside the Internet, and they use technol­ogy in almost every aspect of their lives. Time spent online increases after our babies are born by as much as 44% (McCann & McCulloch, 2012). A recent study, Feeding on the Web: Online Social Support in the Breastfeeding Context, by Jennifer Gray, examines how and why women are plugging into the virtual world for breastfeeding support. More and more women are turning to the Web for health-related support, making it a fruitful option to study breastfeeding communication … An interesting arena to study breastfeeding support communication is the Internet as it offers a record of such support requested and received, and is a place more and more women are seeking breastfeeding support and information (Gray, 2013). With every breastfeeding-related article published, blog post shared, question answered on a Facebook Timeline, or tweet sent through the “Twitterverse,” this information is stored and can be accessed at will when needed by mothers. The best part is that once you connect with mothers online, they will show you exactly where to go to get what you need. Then that mother will share it, and so on and so on. In less than two decades, women have built an amazing virtual infrastructure of support with the hope that no mother in need of help will fall through the cracks. One aspect of virtual support is that mothers came to the Internet for answers, and they often stayed because of friends. Friendships began online with the first groups of women who communicated through email and LISTSERVs, and they became more real with the passage of time as technology now allows women to share not only stories, but pictures and videos of themselves and their families, thus enhancing the “real-life” aspect of virtual friendships. It should come as no surprise that women in the early days of motherhood spend more time online than ever before. They may participate in hyperpersonal communica­tion online, building relationships and finding sup­port that they could not receive face to face, particu­larly those who are isolated in the early period after a birth, feeding an infant at home every two to three hours (Gray, 2013). Ask any new mother who is at home with a week-old baby how different her life is now, and she probably wouldn’t even be able to articulate the incredible change. It is an awkward time. We need support and help more than ever, but we are often alone and afraid because we have no idea what we are doing. No mother should ever feel alone, or like she doesn’t have anyone to talk to who can help answer her questions. Technology has given us a way to end the isolation and increase support: anywhere, anytime. Lara Audelo is the mother of two young boys, and a passionate breastfeeding educator and advocate. She believes increased education for all is the key to helping mothers achieve their individual breastfeeding goals, and is crucial for individuals who are responsible for providing much-needed support to nursing mothers. 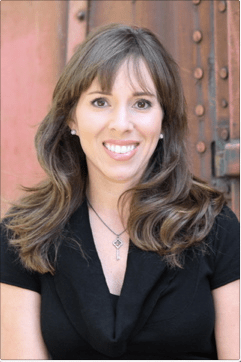 She received her Certified Lactation Education Counselor (CLEC) credential from University of California San Diego (UCSD) in 2010. This article is excerpted from her new book, The Virtual Breastfeeding Culture (2013, Praeclarus Press. Used with permission). Lara can be reached at mamapeardesigns@gmail.com. 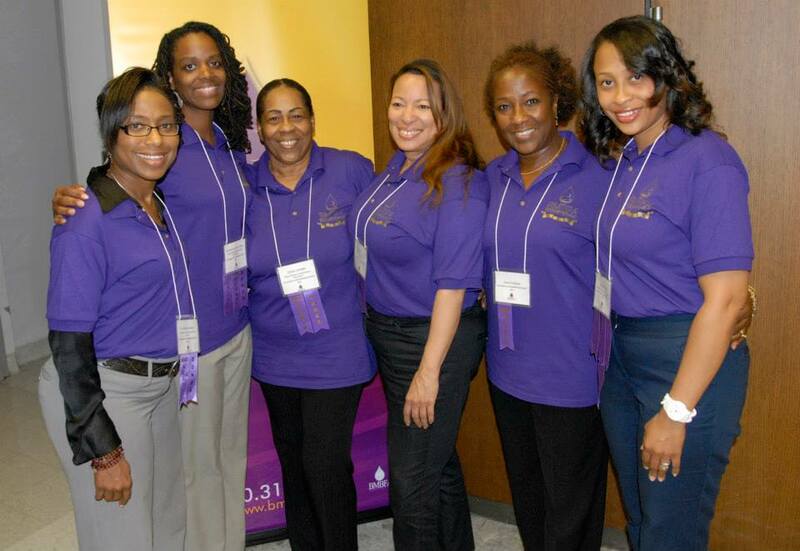 On May 24, 2013, Black Mothers’ Breastfeeding Association (BMBFA) held our 4th National Seminar, Innovations in Breastfeeding Support in Detroit, MI, USA. The Seminar consisted of a plenary address, keynote speaker and lecture sessions from some of the most notable experts in the field of lactation. Topics were directed toward maternal-child healthcare professionals on innovative solutions that address the cultural road blocks in breastfeeding support. The Seminar began with Beth Eggleston MS, RD of Michigan Department of Community Health offering the plenary address where current breastfeeding rates in Michigan were shared and a lively discussion was held about why disparities exist. The information provided about Baby-Friendly Hospitals was particularly interesting as it not only described the 10 steps to achieving Baby-Friendly designation but also explored realistic strategies to eliminate barriers presented by hospital administration as well as mothers of newborns. Allison Benjamin RN, IBCLC of Harlem Hospital (retired), described her instrumental role in assisting Harlem Hospital in becoming the first Hospital in New York City to receive the distinguished Baby-Friendly designation. While breastfeeding provisions are still a work in progress, Leila Abolfazli, J.D., of Washington, DC, shared that the Affordable Care Act offers insurance coverage to breastfeeding mothers for services such as breastfeeding support, supplies and counseling. Interestingly enough, breast milk is being viewed as preventive healthcare according to Leila. 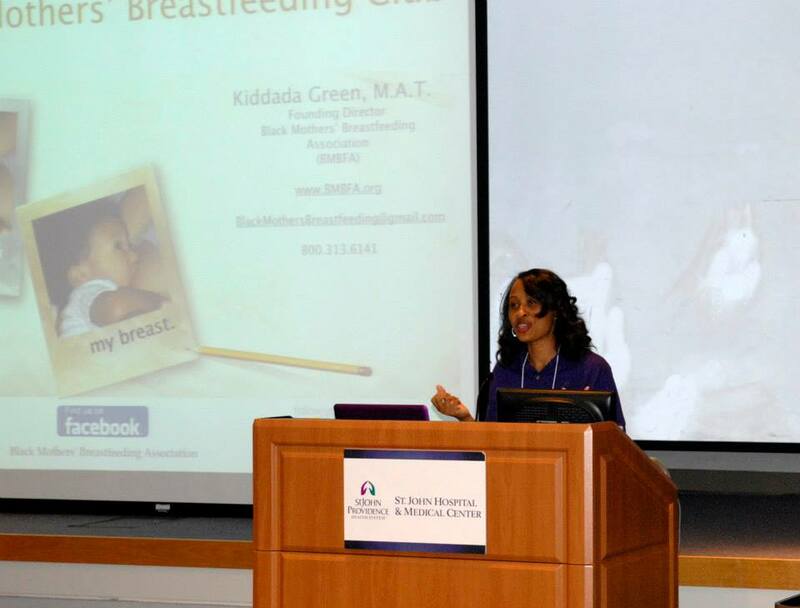 BMBFA’s Founding Director, Kiddada Green, M.A.T., of Detroit, MI, shared strategies necessary to organize and sustain a breastfeeding support group using a model that has proven successful as it has expanded its reach throughout the Detroit area. Other strategies for sustaining community based breastfeeding support suggested by Sade Moonsammy-Gray, B.A. and Kathleen Logan, RN, CPNG, IBCLC of Community of Hope Family Healing and Birthing Center, Washington, D.C. included education, self-efficacy and empowerment of breastfeeding mothers while utilizing evidence based interventions. Dr. Paula Schreck of St. John Mother Nurture Project in Detroit, MI, offered valuable insight into community based breastfeeding support as she compared and contrasted the Mother Nurture Project with traditional hospital-based programs. Dr. Schreck facilitated the first Physician led outpatient breastfeeding clinic in Michigan. I can’t wait to begin planning next year’s seminar. I’m sure it will be yet another stellar opportunity to provide education and resources to breastfeeding professionals. I’m excited to report that BMBFA has made significant progress in our efforts to support breastfeeding mothers and healthcare professionals in our community. We have increased our breastfeeding clubs from once monthly to four times per month with various times and locations throughout the city of Detroit. This expansion has enabled us to reach a far greater target population and minimized barriers to our mothers receiving necessary support. How awesome is that! Another area of significant progress is our breastfeeding peer counselor program. 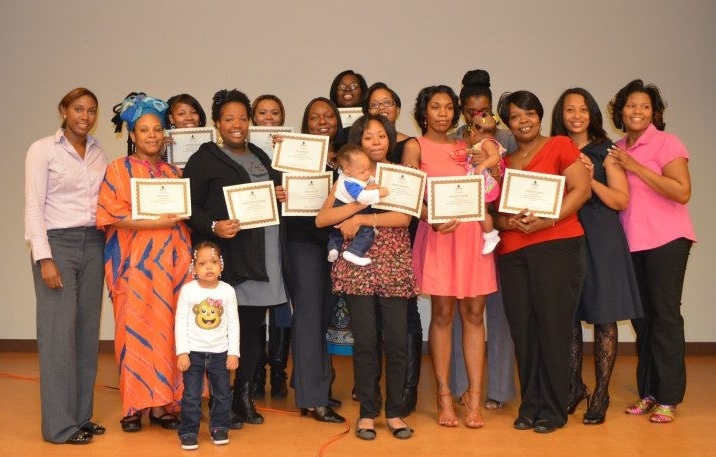 We recently graduated 11 women who have completed a rigorous curriculum assisted by Health Connect One, which has enabled them to provide breastfeeding counseling to women in the Detroit area with hopes of increasing breastfeeding initiation and duration rates. Surely this will help our mothers by overcoming obstacles that may otherwise lead to breastfeeding cessation. We have formed amazing relationships in the community with those who share our enthusiasm and passion in which reciprocal support is provided to breastfeeding mothers and public health professionals. These relationships include Neighborhood Service Organization Harper Gratiot Service Center, Wayne CHAP (Children Healthcare Access Program), WIN (Women Inspired Neighborhood) Network, Detroit Black Community Food Security Network, Focus Hope and First Beat. 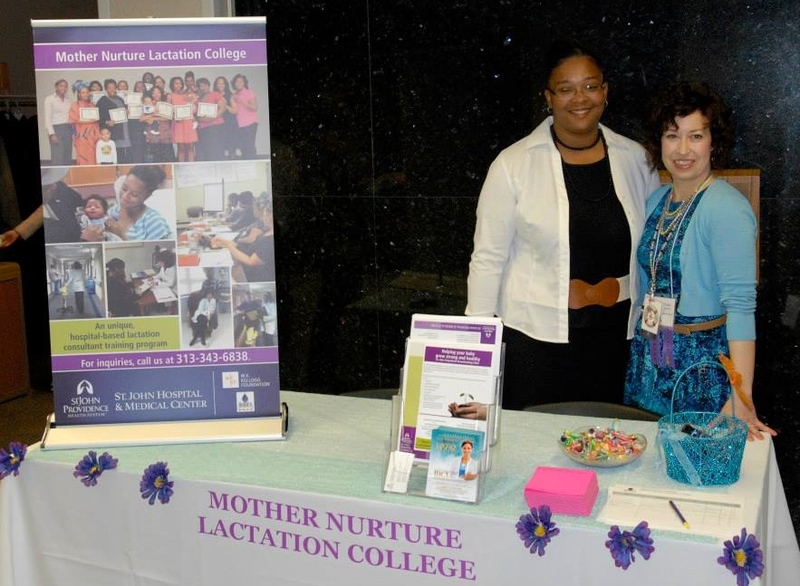 Our relationship with the St. John Mother Nurture Project has flourished as we forge our efforts to diversify Lactation Consultants (IBCLC) in the state of Michigan. The Michigan Department of Community Health awarded BMBFA a $117,000 grant to supplement our work to eliminate breastfeeding disparities. BMBFA has also received a $400,000 grant from the W.K. Kellogg Foundation. The funds will be used to strengthen organizational capacity by building management systems, expanding existing programs and developing new programs, leading to sustainable growth to improve the quality of life for vulnerable, poverty stricken children, while causing social change for the greater good. BMBFA’s community approach to breastfeeding support has been deemed innovative due to its explicit focus on narrowing the disparity gap that exists in breastfeeding rates. In Michigan, only 50.9 percent of black children ever receive breast milk as compared to 68.5 percent of white children. Strengthening BMBFA’s infrastructure will lead to long-term increases in breastfeeding rates and work to create a monumental social impact that restores the emotional, psychological and physical health of the Detroit community. We are looking forward to following our passion and doing incredible work in our community as we continue to answer the US Surgeon General’s Call to Action to Support Breastfeeding. 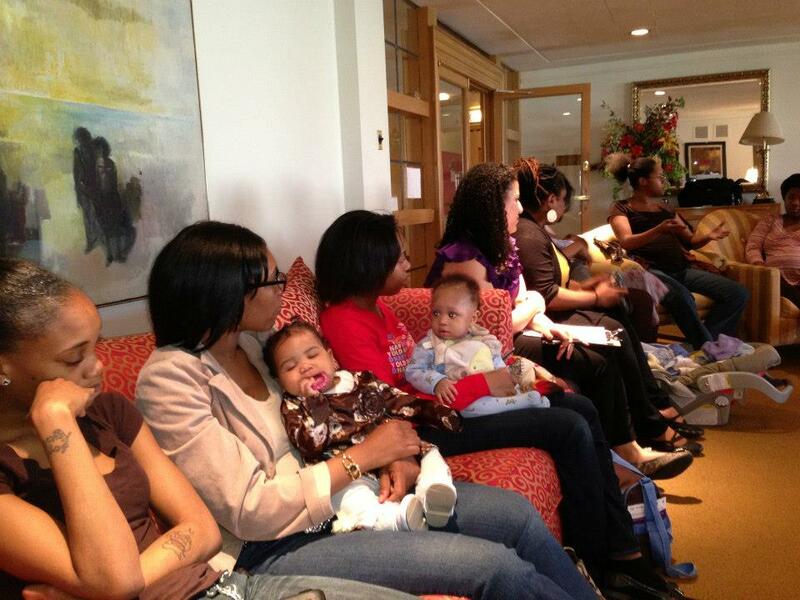 Please visit our website at bmbfa.org to learn more about our breastfeeding programs and services. Also follow us on Facebook and Twitter! 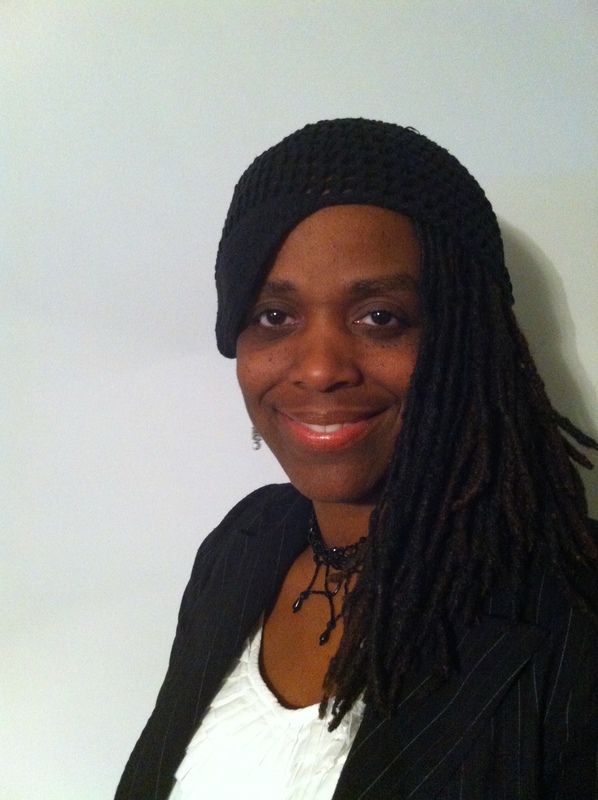 Anjanette Davenport Hatter is the President of the Board of Director’s for Black Mothers’ Breastfeeding Association. Mrs. Davenport Hatter has dedicated her time to eliminate breastfeeding disparities for African American families. She understands how breast-milk decreases the risk factors for developing chronic diseases and has worked extensively with organizations such as Gift of Life MOTTEP, National Kidney Foundation, Children’s Hospital of Michigan and as a member of Alpha Kappa Alpha Sorority Inc. Her tireless efforts in working to improve health outcomes in her community has led to her nominations for the WEGO Health Activist Award and the National Advisory Council on Maternal, Infant and Fetal Nutrition-Breastfeeding Promotion. Mrs. Davenport Hatter holds Master’s Degree in Social Work from Wayne State University. She is a dedicated wife, mother and social worker. In the year 1994, our third daughter was born. It was a beautiful home birth and we all felt blessed to be safely together. After a few days, however, I fell seriously ill with an old-fashioned disease: puerperal fever. It brought me to the hospital and I entered a world I had never been in before: the delivery ward. My stay awakened an awareness in me that has grown ever since: mothers should be central in the care of their infants, and healthcare providers ought to refrain from interfering with the essential process of secure attachment. Started in 1994, my work as a volunteer breastfeeding counselor evolved to the private practice I have now as an International Board Certified Lactation Consultant in Assen, in the north of the Netherlands. As an ardent reader, my notion of “breastfeeding” has broadened immensely over the years. Breastfeeding is a dyadic, relation-building process of which a baby latching properly and taking in enough breastmilk is only a small part. This notion made me decide to take up a couple of translation projects besides my consultations. Many parents are desperate for good information, information that helps them to make choices that match their family values. 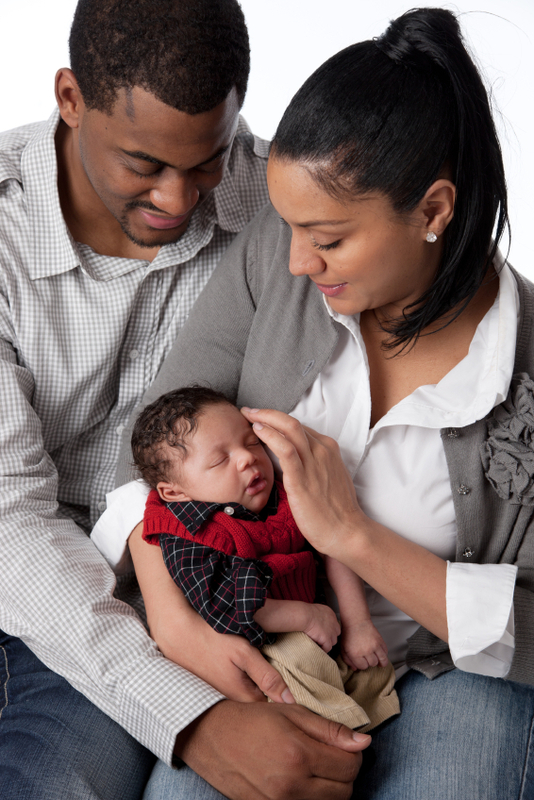 Many parents intuitively know that being close to their infants is something they will all benefit from. Western societal habits, however, often hardly allow for that much needed proximity of primary attachment figures. Talking with parents, seeing how they are moved when I address the issue of how much their baby needs them and how much they have to offer, is very inspiring. My Dutch translation of Sleeping With Your Baby, written by James J. McKenna, led to beautiful responses from parents in the Netherlands: “Wonderful, to have this book now! I always knew it was a good thing to sleep together!” Mid April, the Dutch translation of Jill and Nils Bergman’s book Hold Your Prem will be published. We all need a place where we can feel safe, so that we can develop physical and psychological stability in life. We do not only need that as a baby, but also as parents, in order to take care of our babies. I feel privileged to be able to professionally contribute in different ways to that sense of security! Marianne Vanderveen-Kolkena started her breastfeeding work in 1994 with the Dutch breastfeeding association VBN. 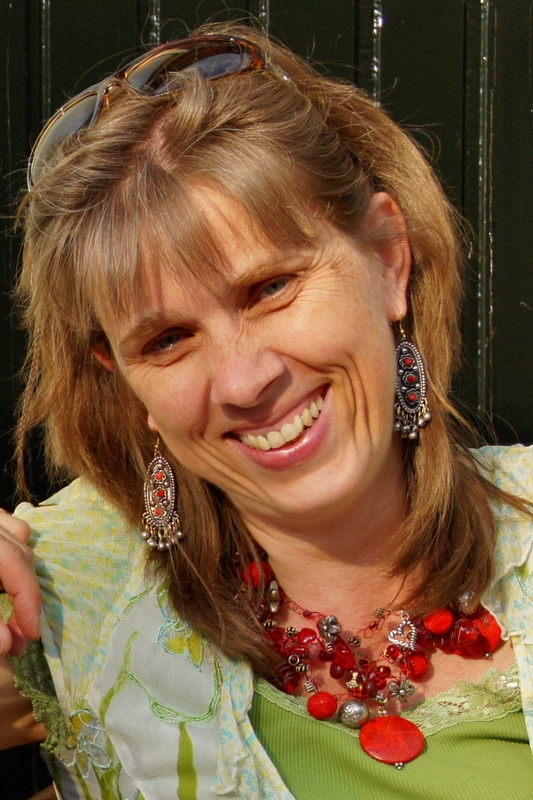 She became an IBCLC in 2008 and runs her private practice in Assen, the north of the Netherlands, Borstvoedingscentrum Panta Rhei. She still works with the VBN as editor for the brochure committee and gives presentations in different settings. She contributed to the Dutch national guideline on dealing with excessively crying babies, making a warm plea for responsive parenting, and was one of the two final editors of the Dutch National breastfeeding guideline. Marianne is a coworker of the biggest Dutch breastfeeding website, www.borstvoeding.com, advisor of ‘Het OuderSchap’, a Dutch organisation for parents (to be) and and an ILCA member. All her practice and advocacy work focuses on the normalcy of breastfeeding, the importance of the mother-child relationship, the value of parental proximity in the early years and on language use that supports these aspects. She is preparing to study Anthropology at the University. The Maryland Breastfeeding Coalition has recently initiated a movement to “Ban the Bags” in Maryland. 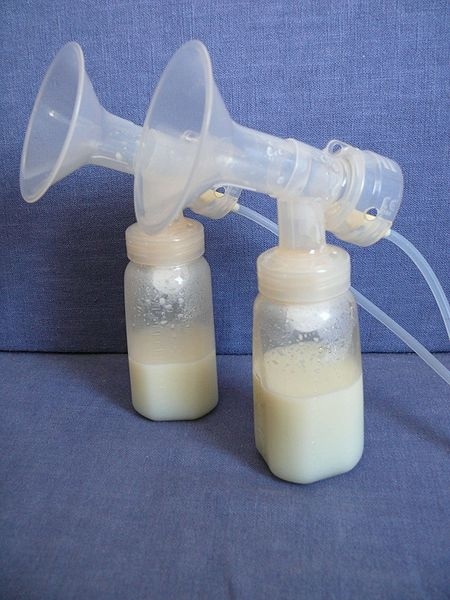 They sent the following letter and video outlining their efforts to to the CEOs of all birthing hospitals across the state, requesting the removal of all commercial infant formula discharge bags. We applaud their efforts and look forward to hearing how their actions support mothers and babies in Maryland. We hope that their letter and the influence it has can serve as a model for other states and countries to make the same changes in their communities. The Maryland Breastfeeding Coalition lauds and strongly supports the recent release of the Maryland Hospital Breastfeeding Policy Recommendations by the Maryland Department of Health and Mental Hygiene (DHMH). As part of these recommendations, in an effort to protect and improve maternal and infant health in our state, we write today to urge your hospital to join with all hospitals in Maryland in discontinuing the distribution of commercial infant formula discharge bags. 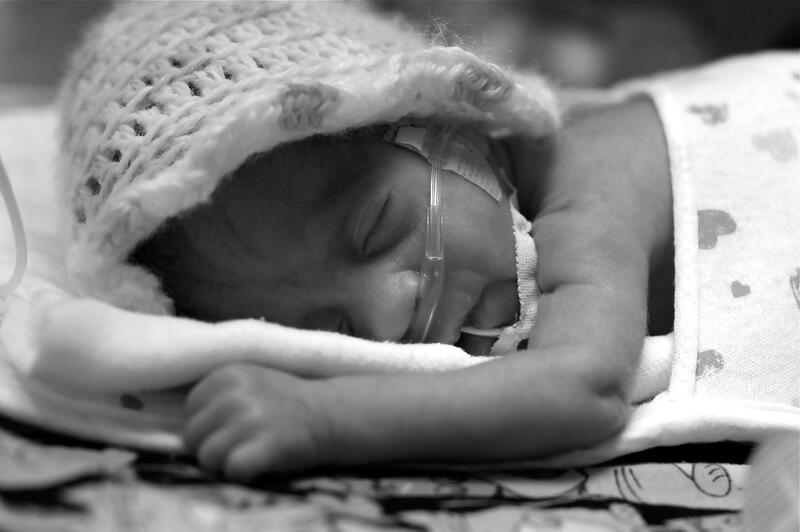 The initiative to ban the practice of marketing formula by health care institutions and professionals in all birthing hospitals is supported by DHMH’s recommendations, as well as other public health authorities, including the American Academy of Pediatrics, the Centers for Disease Control, and the 2011 Surgeon General’sReport. Banning the bag is feasible! Your hospital can join those hospitals that have committed to protecting breastfeeding and refuse to act as marketing agents of formula companies. Several Maryland hospitals have already banned the formula company discharge bags without significant hardship or obstacles. In the process, they have been able to simultaneously increase their marketability. Through working with their purchasing and marketing departments, some like Upper Chesapeake Medical Center and Shady Grove Adventist Hospital have designed and distributed their own discharge “gifts” which advertise their respective hospitals. Johns Hopkins Hospital stopped giving out formula samples over three years ago as part of a hospital-wide effort to stymie the marketing of pharmaceuticals within its facilities. The hospital administration has chosen not to give out a replacement bag. 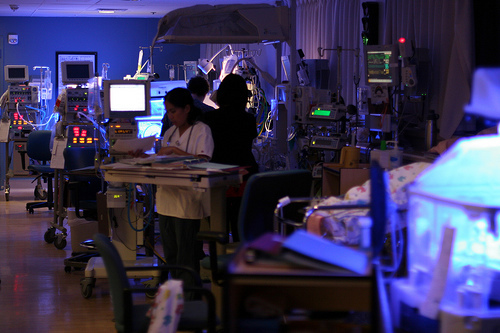 Other hospitals such as Memorial Hospital at Easton discontinued distribution at the behest of Risk Management upon investigating their liability in the event of a formula recall or a baby getting sick from expired or contaminated formula. While these hospitals and others no longer hand out formula bags upon discharge, banning the bag never prevents a mother from obtaining free formula samples if she so requests. She can simply be directed to call the toll-free number on the back of every formula container to receive free bags, coupons, or samples. Your hospital aims to promote the health of infants and mothers, but when providing the bag and/or formula samples, the ongoing promotion of infant formula sends the inaccurate message that these products are medically approved, endorsed, and necessary. 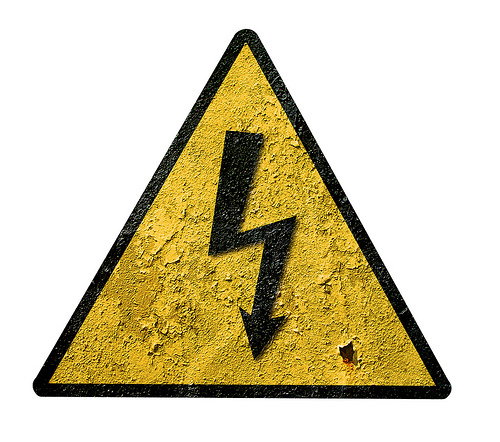 The Maryland Breastfeeding Coalition has prepared a brief power point presentation to highlight the research regarding the effects of formula discharge bags and discuss further how hospitals can approach banning the bags. We encourage you to view and share it with your staff. 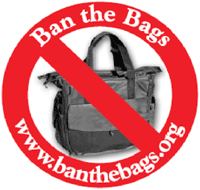 For more information, you can browse www.banthebags.org, and Public Citizen . You can also visit the website of the Massachusetts Breastfeeding Coalition which has successfully led all 49 of Massachusetts’s birthing hospitals to ban the bag. Our own Maryland Breastfeeding Coalition website will soon contain links to the You Tube video for staff and other resources. Help us make Maryland the next state to successfully put the health of our youngest citizens first by banning the formula discharge bags from all birthing hospitals. Please contact us if the Maryland Breastfeeding Coalition can be of further assistance to you, or if you have any questions. Please share this information with other relevant departments within your hospital. We very much appreciate your time with this matter. 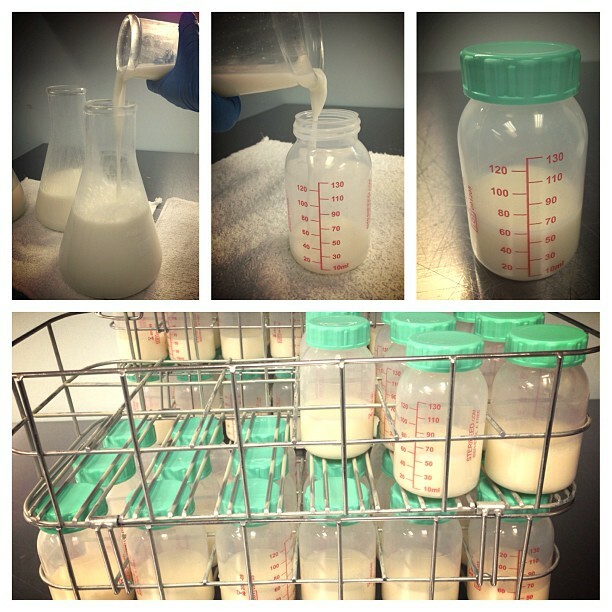 What is your community doing to eliminate the marketing of formula in your hospitals?